What if I told you that you could outperform your competition by 35% with just one change to your talent management practices? Or that implementing one new strategy could put your business among the best performing companies in your industry? Even if you’re skeptical, it’s worth taking a few minutes to check out some new, and very interesting, findings from a recent talent management study. According to Josh Bersin, principal and founder of Bersin by Deloitte, the key to success in 2016 is a focus on diversity and inclusion. 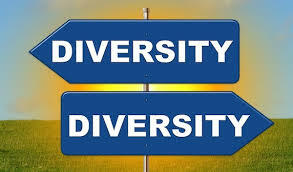 In a two-year research study completed by his company, Bersin found that, “The talent practices which predict the highest performing companies are all focued on bulding an Inclusive Talent System.” Visit Bersin’s post to find out more about the study and Why Diversity and Inclusion Will be a Top Priority for 2016.